In Date with Destiny, an unexpected meeting with Destiny Jackson, in a coffee shop near the bank where Rashida Ivey works, sets off an astonishing chain of events, not the least of which is Rashida’s attraction to the mysterious Destiny. Destiny is an out-of-work drifter, and when the stars align and Rashida comes to her aid, Destiny ends up securing a position as security guard for the bank. Rashida is torn between wanting to help Destiny succeed and wanting her to fail because of the bank’s “no fraternization with co-workers” policy. If Destiny gets the job, Rashida may have to sacrifice the one chance at a real relationship she’s had in a long time. Since Rashida can’t seem to help herself where Destiny is concerned, she decides to keep the potential connection from her best friend and Human Resources manager, Jackie Williams. Rashida and Jackie make up the backbone of Low Country Savings Bank. Rashida, as district operations manager, is always there for the bank, in one crisis after another, and Jackie always has her back. When Destiny comes on the scene, she saves the day on a number of occasions. Presumably, her experiences in security and in the military help her do her job well, yet there are things along the way that make us wonder about Destiny’s motivations. There are other characters populating this story that make us curious about intent and motivations, too. The Marketing Director and heir-apparent to the Low Country Savings Bank empire is deeply ensconced in the closet. Although she seems to want to be friends with Rashida, and she, too, seems to have Rashida’s back on several occasions, there are things about her personality that seem a little off. As with many things in this story, not everything is as it seems. The first part of the story is told from Rashida’s point of view. During this time, we learn about Rashida’s inability to resist Destiny’s charms and her growing feelings for the woman, as well as her concerns about her and her struggles to comply with company policy. Dixon also skillfully tells us Rashida’s backstory of failed relationships and dedication to her job—and her frustration at not allowing herself time and opportunity to find someone special to share her life with in the past. 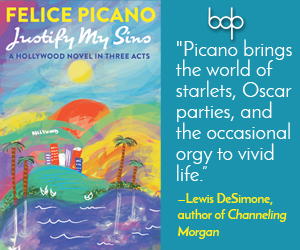 The last half of the book is a retold tale—this time from Destiny’s point of view. The repeating has the potential to be a boring rehash, but it isn’t—far from it. As the tale is retold, barely enough is repeated to give the reader a point of reference. This is then followed by insights into a whole new aspect of the story. Unexpected motivations and plans are revealed. Unlikely villains are exposed. Principles seem to be compromised and it’s difficult to know who to believe. In the end, unless there is a surprising turn of events, disaster could land someone on the wrong side of the law. True love can overcome a great deal of adversity, but in the case of Rashida and Destiny, it may be a case of too little too late. Still, if one or the other is willing to go to the ends of the earth, they may find something of value, something good, to be salvaged from the wreckage. 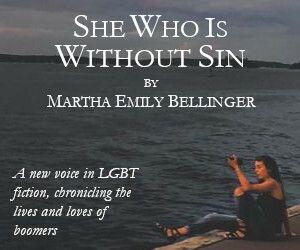 The slow unfolding of this story is packed with surprises, not the least of which is the skillful revelations from different points of view that are kept segregated with effective purpose. What the reader knows in the first half will be very different from what she finds out in the second half, and even then, everything is still not quite what it seems. The element of surprise is not lost in the telling of this enchanting—and inevitable—date with destiny, where the reader will find out if Rashida will continue to work her fingers to the bone as she climbs the corporate ladder, or if she will find her true destiny. 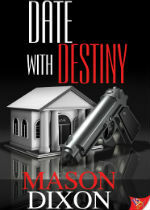 Date with Destiny is a fine first offering from author Mason Dixon. For a page-turning ending to a uniquely told story, include it at the top of your reading list.